Mithu Mandal lost his legs to polio at the age of 3, and was never interested in a formal education. 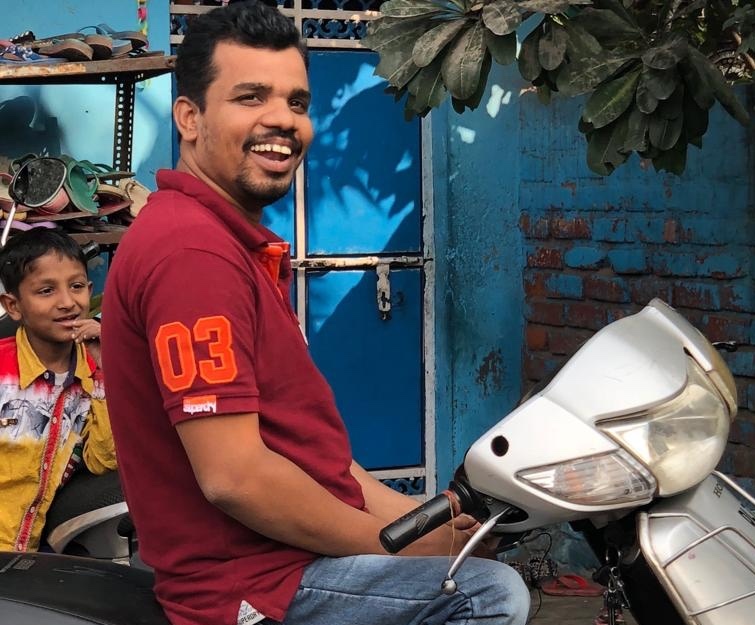 At Project WHY, he not only learned about computers, but became good enough to teach children how to use them.The Project Why Okhla centre where he teaches, supports the education of 350 children, quite a few of whom also learn computers from Mithu. Without this centre, Mithu would not have a job. In the coming year, this centre is about to lose its funding and faces a very real possibility of shutdown, which is why we’ve now launched the #HelpMithuSaveSchool fundraiser. Space was not easy to find and the only option was a space near a garbage dump. It was ‘reclaimed’ and classes began under a plastic sheet held by bamboo poles. The centre is the result of hard work from its staff and founders, who have faced everything from littering, to assault from criminal elements in order to keep it running for all these years. ▪ Children gaining secondary education at the centre will be going in for higher education, and staying away from life on the streets. ▪ If you’re donating from India, your donation is 50% tax deductible under section 80G. ▪ If you’re donating form the USA, France, or Germany, you can make tax-deductible donations via these avenues. 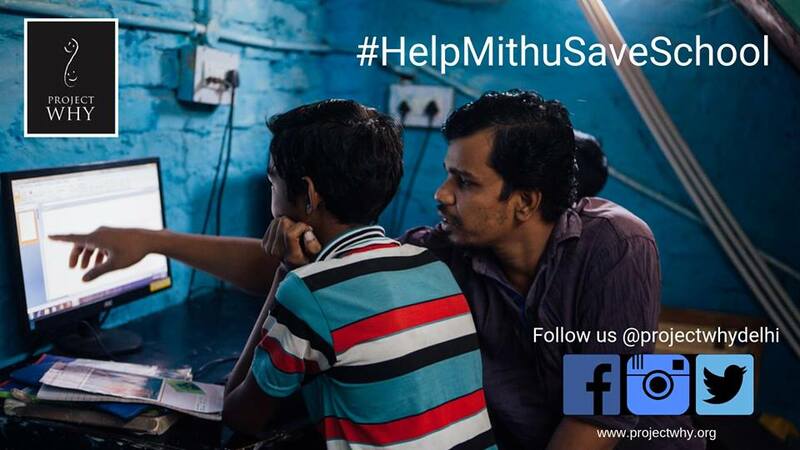 Find Project WHY on Facebook, Twitter and Instagram, and please help share the story to your friends and family on the hashtag #HelpMithuSaveSchool. Add in a little to the fundraiser–with small contributions from a big crowd, we can get together to help Mithu keep his wonderful school alive! Mithu is an amazing guy—having met him, I know he inspires not just his students but every he meets!